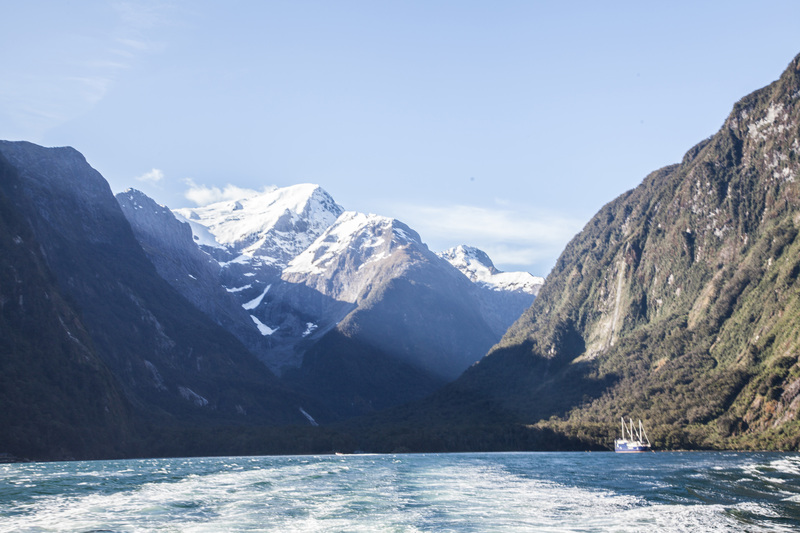 I hopped on the Milford Sound Lodge shuttle to the harbor to catch the boat out into the sound. It was a fairly small boat with a decent little crowd. Most people gathered up top to take in the sights. We began by heading out into the sound past Bowen Falls. 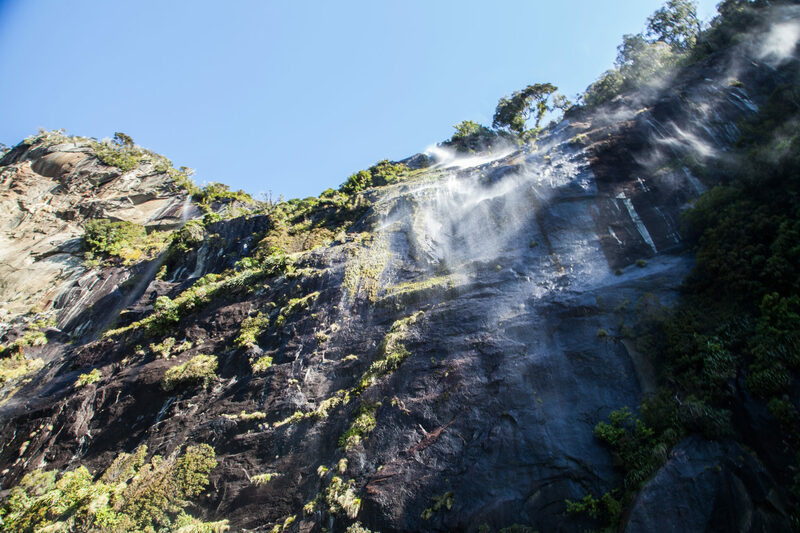 We then continued onto Fairy Falls, a wispy waterfall complete with rainbows and happiness. From there, the boat jetted out through the sound and onto the open water. 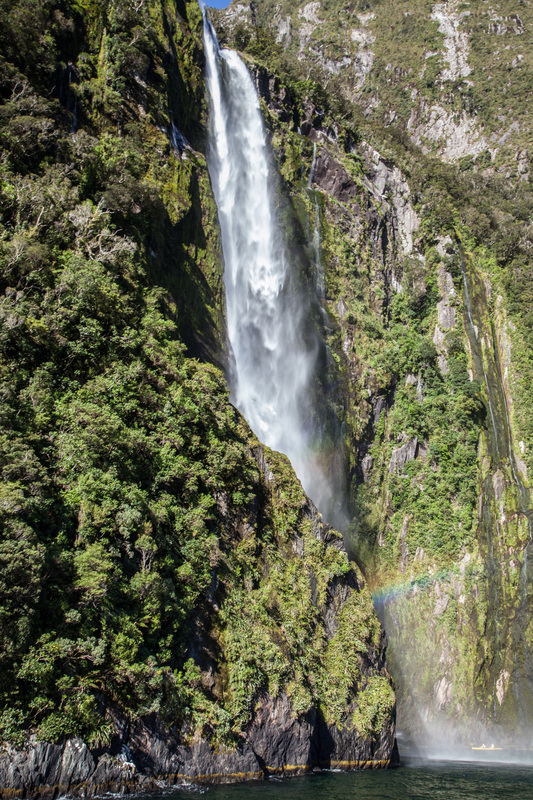 On our way back in, the boat stopped by Stirling Falls. We were not able to stick the boat under the falls due to kayakers playing around underneath. We covered all the territory I’d seen by kayak and more. I definitely preferred kayaking over the cruise, but it was neat being able to sit up high and head all the way out to the ocean. 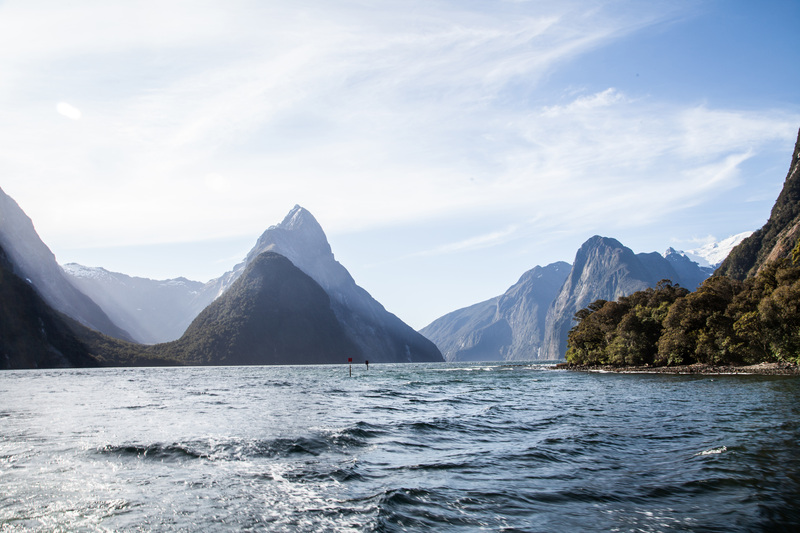 Mitre Peak did an excellent job of narrating everything that we were seeing and telling stories of days past and the discovery of Milford Sound. 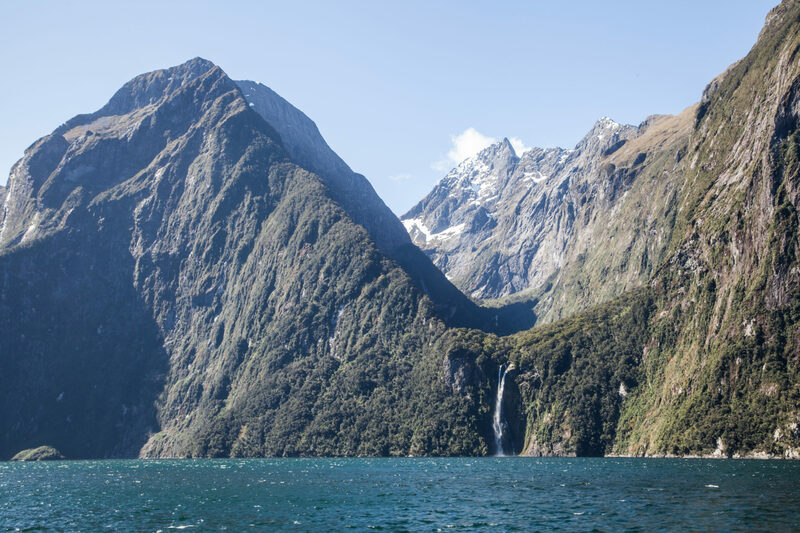 Book through Mitre Peak Cruises starting at $70NZD.